Lebanon Eyecare Associates provides thorough eye examinations, contact lens fittings and supplies, quality custom made eyewear in approximately one hour* including Bifocal and Progressive Lenses and the largest selection of frames in the area, including most major designer frames. 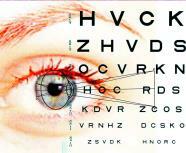 We accept most vision plans and medical insurances. Most major credit cards accepted. Call for an appointment today.